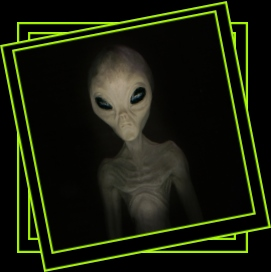 November 16, 2010 – The idea of intelligent extraterrestrial life occupies the human imagination like no other phenomenon. Has any other hypothesis spawned as many generations of stories, folk tales, TV shows, general discussion, scientific discussion, believers, disbelievers and those who just keep a fascinated eye on the evolving discussion? While we delight in watching aliens on our film and television screens as well as reading about them in novels and hearing urban legends, would we be as enthusiastic if there were other life forms in our universe? Ancient cultures are replete with stories of beings from distant planets. The Dogons of Western Africa, a people well known for their cosmogony, claim that their knowledge of the existence of the faint star Sirius B, of which they had been aware for over a thousand years, a star which was only discovered by western scientists in 1978, was given to them by a race of people from the Sirius system itself. Present-day claims of extraterrestrial life are often less absolute then those of the Dogons, but how likely is it that intelligent life has evolved more than once in the universe? An enormous number of factors need to come together before life is even theoretically possible. Many of the molecules needed, such as iron, copper and nickel, occur exceedingly rarely in the universe, as does the medium needed to mix them all together, liquid H2O. An equation that worked out fortuitously for humans seems prohibitively improbable for other aspiring life forms. There is however no shortage of space for life to get going. Our Sun is one star in a galaxy of a hundred thousand million (100,000,000,000). That works out as twenty stars for every person on Earth. Of course, stars are not the places to look for life. What we want are planets orbiting these stars, just close enough that water won’t freeze but also just far enough away that it won’t boil away. How many are there? A recent study in the journal Science examined 166 sun-sized stars and found nearly one in four had rocky, earth-sized planets in close, Earth-like orbits. The odds suddenly start to look a lot better. The famous Italian physicist Enrico Fermi articulated this apparent paradox. The universe is very old and very large, so this should mean a high probability that intelligent life exists. The resultant question is often known as Fermi’s question: so where are they? Statistically, it is highly likely that intelligent life exists; yet this belief seems logically inconsistent with our lack of observational evidence to support it. Either the first hypothesis is incorrect and life is rare, or we simply have not been able to detect it yet. SETI (Search for Extraterrestrial Intelligence) is a collection of investigative projects that use large radio telescopes to search the sky for evidence of artificial radio signals originating from outside our solar system.